Treva Sands has recently helped meet the needs of several local residents this year by using the Neediest Cases Fund. "I'm the Partnership's Housing Coordinator, and I've assisted 12 to 16 homeless individuals this year," Sands said. Treva Sands wants to wipe out homelessness in Chattanooga, and the Neediest Cases Fund is a tool she uses to work toward her goal. The housing coordinator at the Partnership for Families, Children and Adults used the charity generated by Times Free Press reader contributions to keep more than a dozen people in their homes this year. "If I can help just one family, that's one family who is not sleeping in the cold," Sands said. 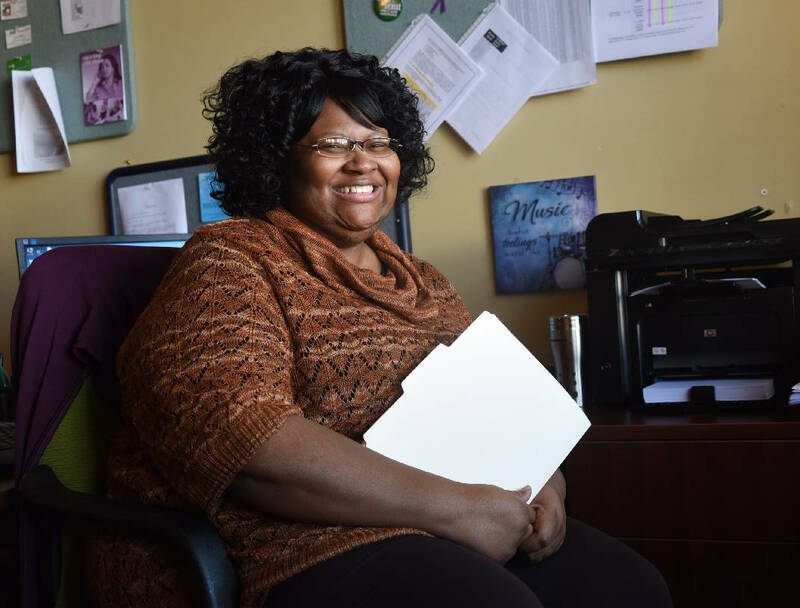 Sands is one among a host of case workers accessing the Neediest Cases Fund to help local families. The fund assisted 241 families with $69,593 in contributions in 2016, records show. The money paid rent, rent deposits, utilities and school fees. It also paid for a victim of domestic violence to get tires so she could get to an out-of-town job. "Neediest Cases is amazing," Sands said. Former Chattanooga Times Publisher Adolph Ochs started the fund in 1914 to address needs in the community. It works through stories that run from Thanksgiving to New Year's Day about the needs of local residents. Readers contribute to help meet needs, and the United Way of Greater Chattanooga screens people and issues the money. This is the last Neediest Cases story for this holiday season. But people who need help can apply year-round to receive assistance, said Diane Jarvis, the Neediest Cases manager at the United Way. The Neediest Cases Fund isn't for everybody, she explained. It's to help people out of emergency situations. It is not to be considered a routine funding source. "We try to make sure that it's going to give them stability and that it's a one-time thing," Jarvis said. "If somebody is going to get evicted and we pay $500, but they don't have a job to pay next month's rent, we're not going to help because they'll be in the same position next month." Some people may be better served in a job training program that could help them find work, she said. Jarvis recommends anyone needing assistance start by dialing 211, or 423-265-8000 for callers who have trouble connecting. From there, United Way workers will determine the best place to send a person. The AIM Center's consumer housing specialist, Gina Turley, said she's helped at least five clients this year with money from the Neediest Cases fund. She recalled a woman who had been homeless for three years. The woman finally got a house, but she owed $222 to EPB and needed a separate $200 deposit before she could get electricity. Neediest Cases provided the $422. "After everything else is exhausted," Turley said, "it's there, and it keeps people housed."